SpinLash Review and a Contest! SpinLash is a revolving brush that coats each of your lashes (both lower and upper) with mascara while avoiding clumping! If you have a problem with clumping this be the tool for you! I don’t really have much of a problem with clumping but I must admit that this definately does a mighty fine job of grabbing each lash and coating it in mascara plus not only separating my lashes but adding nice volume at the same time. I was a bit scared of placing a spinning brush anywhere near my eye area however it works basically the same way your regular wand would aside from the fact it rotates. 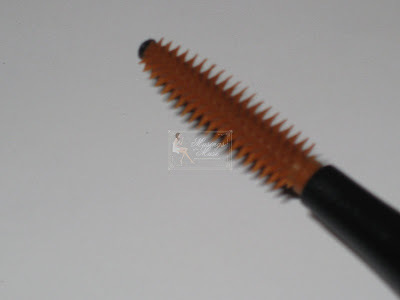 The bristles revolve all the way around in a gentle, slow motion not only coating your lashes with your mascara but also curling them up and out plus separating them and adding volume. The SpinLash is only $14.95 USD and comes with it’s own mascara however, in my humble opinion, the best part of this product is you’re able to use it with your own mascara! For me that’s a total plus! The mascara this comes with isn’t too bad and hey it’s free so no rants from me about that however I prefer using the unit with my own mascara. I tried it with it’s own mascara plus my Majorca Majolica mascara. I was astounded with the results I got when using it with the MJ Mascara. MJ adds super volume to my lashes anyway but when used it in conjunction with the SpinLash I was impressed with the glamorous look of my lashes! The brush on the SpinLash is soft rubber which makes for easy clean up. I used it and proceeded to dunk it in alcohol and wipe clean after use. The mascara came off fairly easy plus it prepped the brush for my next use. 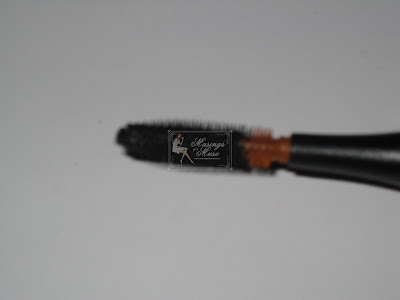 The positive experience of having one product to not only curl my lashes but also apply product with the added benefits of separating my lashes and adding extra volume is definately a likey for the Muse! Whether this will completely do away with my beloved lash curler remains to be seen but it’s definately worth checking out for yourself plus you can’t really go wrong for the price! If you’re Asian and you’re plagued with short, stubby lashes this might be the tool for you as the unit does a good job of grabbing the lashes and pulling them up and out! All in all it’s an interesting tool and worth trying out for yourself! They have some upcoming products that caught my eye on the website so do visit! One of which was entitled SpinBlush! Whoa…the Muse likes the sound of that! Want a SpinLash for your own? Join the Muse’s Contest to Win a SpinLash! 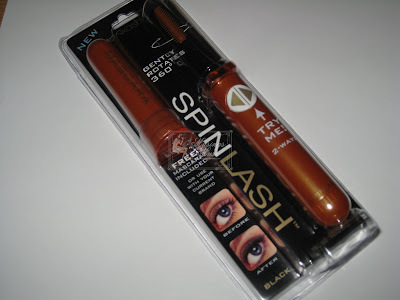 I have three Brand New SpinLashes with Mascara to give away to three readers at Musings! The contest is open Worldwide so all my pretty readers from all over the world can enter to win your very own SpinLash! All you need to do to enter is identify the girl below and enter in the comment field who she is! Now it’s not as simple as saying who she is in “real life” but more along the lines of what character she recently played! All the names of the readers who guess correctly will be placed in a bowl and three will be randomly selected to win a SpinLash! Hint: Mr. Saxon aka The *blank* once mentioned how her “father” (I use the term father loosely!) supposedly single handedly sealed the rift in The *blank* Cascade! You didn’t think I was going to make it that easy did you? Fill in the blanks above and win an extra surprise! My lips are sealed what the surprise is but if you guess correctly I’ll be sure to include it with your SpinLash! That’s one person you need to identify in order to be entered to win a free SpinLash and two blanks you need to fill out in order to win a second surprise! There is one other catch to winning! Should you win you’ll have to review the SpinLash at Musings! The Muse wants to know what you think of the SpinLash! Good Luck! May the force be with you! I know that the actress is georgia moffett (she is absolutely gorgeous) and i know that the first blank is doctor. I think the last blank is medusa…i’m not too sure, though. haha i know this 😛 i only watched it a few days ago! it’s Jenny from Dr Who, from The Doctor’s daughter!!! oooh i wanna try spinlash! i hope i win one!! I am taking a stretch with the “father” and guessing you are referring to Dr. Who’s granddaughter, Susan Foreman. Mr. Saxon aka The *Master* once mentioned how her “father” (I use the term father loosely!) supposedly single handedly sealed the rift in The *Medusa* Cascade! Hi Muse!!! I am asian, i’ve got invisible lashes, so I researched so hard and I’ve found it!!! The lovely lady is Goergia Moffett, Playing “JENNY”, the title character for DOCTOR WHO story the Medusa Cascade!!!!!!!!! Eff all of this Dr. Who nonsense! I demand to know: does this Spinlash device have a rotating shaft and massaging pearls? A fluttering rabbit-ear attachment? No? Screw it then! Call me when you review something I can use. Wait- IS THAT THE EXTRA SURPRISE?!?! Hot damn! You’re making me lose my precious beauty sleep, but I need to figure out who blondie is so I can collect my fluttering, rotating, vibrating prize. You can keep the SpinLash, though. Blondie is some chick named Georgia Moffet who played the ‘daughter’, Jenny, a super-soldier created from his shiteous DNA. This is highly improbable though, because as you can clearly see: Georgia is HOT, David is NOT. Hint: Mr. Saxon aka The Master/Prime Minister once mentioned how her “father” Doctor Who/The Time Lord/Captain Ugly supposedly single handedly sealed the rift in The Medusa Cascade! hmm, is she from the doctor who’s series? my friend was watching it the other day. haha..
as in the character in that show..
her name is georgia elizabeth moffet? lol~ but im really not sure at all! cos i only rmb that there was a blond girl that looks kinda like her. Ah… A Doctor Who fan, eh? her “father” (aka Doctor Who) sealed the rift in the MEDUSA Cascade! I saw that revolving mascara too while i was in duane reede! 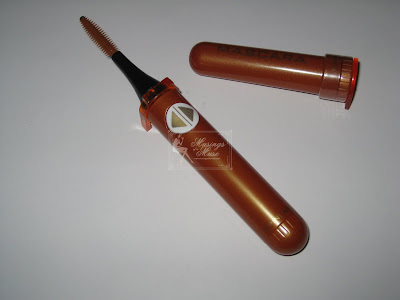 I was wondering about it, the brush seemed kinda big reminded me of the covergirl lash blast wand, but now I’m really curious to see how it works. I agree too bad you can’t switch out the mascara wands and such. Mr. Saxon aka The *Master* once mentioned how her “father” supposedly single handedly sealed the rift in The *Medusa* Cascade! I believe she played Lucy Saxon. Mr.Saxon aka The Master once mentiond how her “father” supposedly single handedly sealed the rift in The Medusa Cascade. and wowwwwwww this spinlash thing sounds PERFECT!!!!!! 😀 😀 and you’ve got awesome lashes alreadyyyyyyy, you dun need anymore help!!!!!!!!!!!!!!!!! Mr. Saxon aka The Master once mentioned how her “father” (I use the term father loosely!) supposedly single handedly sealed the rift in The medusa Cascade! The Master mentioned that the Doctor had sealed the Medusa Cascade single handed! LOL niks! That’s perfectly alright me love! ..Mr. Saxon aka The MASTER once mentioned how her “father” (I use the term father loosely!) supposedly single handedly sealed the rift in The MEDUSA Cascade! She’s the Doctor’s daughter Jenny, played by Georgia Moffett. It’s the Doctor’s Daughter but of course. TTFN! See you Thursday Night!Don’t be freaking late! Ooo and I do I win a prize? I’m a first time commentor! Jai just rung me up to comment. He’s gone and got giddy over his own stupidity that he knows the answer to the quiz. Just to clarify I was the one that gave the little bugger the bloody answer! wot he knows Who now? I think not. It’s gone on 3 almost. Do ring me love. Mr. Saxon aka The ‘Doctor’ once mentioned how her “father” supposedly single handedly sealed the rift in The ‘Medusa’ Cascade! Thanks so much for your last comment Izzy! The nasty comments were somewhere along the lines of you have really sallow unattractive skin and a mustache-lovely right?! But back on topic-I saw SpinLash at my local Target a few weeks back and was SOOO curious about it. And the fact that it works well with the MJ mascara makes it even better! kisses from portugal, love your site, helps me a lot!! Anyway! your english is perfectly fine! You can answer right here and when I announce the winners, if you win, you can email me your shipping address! The girl is Georgia Moffett in real life, but she is Jenny in Dr Who. Um beijo de Portugal, Rita. It’s an interesting little tool! You’re entered in to win the SpinLash! w00t! Congrats 😉 Weekend was busy but nice how was yours? hey nics! Hells honey I knew you’d know! It has to be a law in England that you know stupid facts about doctor who lol! Correct again! You’re entered to win both the SpinLash and the surprise 🙂 wahooo Jen! Good Luck! I’m routing for you! Ahhhhhhhhhh almost but no go. Susan is a fine answer but sadly no go 🙁 The doctor’s regenerated quite a few time since dear Susan’s appearance 🙂 She was indeed the granddaughter of the 1st Doctor! The good news I’ll enter you to win the “surprise” 🙂 since you got the answers to the “blanks” correctly! Damn you’re a good googler aren’t you? Even finding out the Master was the prime minister! This is a case of a closet Doctor Who watcher me thinks! It works pretty well. 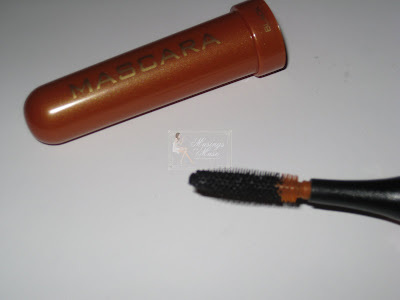 The mascara it comes with isn’t fab but when I used it with MJ Mascara my lashes were rocking! I heard from ‘nes’s blog that the batteries aren’t replacable but aside from that the unit works kinda fun! The price is good too! Good work! And lots of hard googling hehe 🙂 Thanks for entering to win 😉 Good Luck! It’s on DVD so you might find the DVD’s around?! Oh no 🙁 Sadly she is not Lucy. Good work! Will enter you to win the SpinLash! Maybe they ship internationally? Not sure! Will check the site! No I’m so sorry 🙁 That’s not correct. This is actually Jenny the Doctor’s daughter! I’ve entered you to win both prizes! Good work darlin’! I’ve entered you to win both prizes 🙂 Good Luck! jai you’re such a blooming liar. I talked to Libs (who outs you below) and she said she gave you the info! I’ll enter you to win! Good Luck! Aw you’re welcome. Sounds like an idiot Jen. Just delete and move on. Don’t be depressed over stupidity! no sadly not 🙁 I’m sorry! That fine lady be Georgia Moffet, the daughter from the DR WHO(s your daddy) series. Her characters name is Jenny, and she is doctor who(dunnit)’s daughter. LOL! 🙂 That’s alright. Good work googling me love! I realized as soon as mr saxon was googled it would give away a MAJOR part of the contest 😉 but the getting info about the doctor’s daughter seemed a tad tricky! the doctor’s daughter, medusa, master. but I cheated. It was hard so I looked in the comments. can I still be entered to win? jenny from Dr Who, from The Doctor’s daughter!!! the actress is the lovely Georgia Moffet who plays Jenny on Dr. Who!She is the daughter of the Doctor. thanks for this contest and the chance for some of us to try the SpinLash. I would be intrested to see how the brush works with different formulas of mascara! muse- keep up the great work on the blog. your’s is my favorite beauty blog by far, you review so many different types of products! I know she’s the Doctor’s Daughter but not sure about the blanks! I was sooo excited when I saw the question. The picture is of Jenny (the lovely Georgia Moffett) from Dr. Who. I don’t know how to answer this in a way where i don’t look like i’ve been reading through the comments. Anyway, The answer for the first question is Jenny, the daughter’s doctor in Dr. Who. The first blank is Master and the second blank is Medusa. aw that’s ok! blogger freaked up! Of course 🙂 You’re entered to win! Good Luck! Good luck to you! Hope you win! Good job 🙂 You got it 😉 Good luck!!!!!!!!!!!!!!! I hope you’ll win so you can try the spinlash out for yourself 🙂 Good luck! Thanks honey! I appreciate that you read my little blog 🙂 Many many thanks for making it a part of your busy day! I hope you won’t be a stranger to comment box 🙂 I love speaking to my readers! Good work 🙂 You’ll be entered to win 🙂 Good luck! Good work!!!!!!! You got it all 🙂 I’ll be entering you to win! Good luck to you! aw shucks it’s ok hehe! Good luck to you! I’ve entered you to win! Okay. I knew what show she was on…but I had to google the rest *giggle*. Here goes: she’s Jenny from “Dr. Who”. I think the blanks are: Master and Medusa. Fingers crossed!!! I saw the SpinLash, too…and couldn’t tell if I wanted it or not…now that I know it will work with my own mascara, and after reading your review…it’s something I definately want to try! Hope I win!!! Thanks for a great post and contest!!! -Katy. LOL good job 🙂 if with the googling! I’d love to enter but I have no idea who she is or the little bonus thingy, lol! And when I try to google, your blog comes back as a listing, lol!! LOL awesome I’m popular on google hehe!